Of course once you have ordered your 2050 Kcal burger you will want add-ons and fries. How kind of them to ask. At various times throughout the year you can see the efforts made by many companies. New year challenges, summer offers, and Black Friday discounts are some of the most obvious marketing approaches. We also get suggestions from technology as well, when the oil light comes on in your car it's a suggestion that you need to take action. When the stock market indicates a bull market, it’s time to buy. However, to design suggestion techniques to aid retention, we need to match the suggestion to the behaviour at the most appropriate time. Many companies have developed interaction software that attempts to identify those customers who are at highest risk of quitting. While we could argue the accuracy of some of these products, the concept is clear, intervene with customers whose behavior is suggesting they are going to quit. This is technology designed to maximise the staff behaviour and improve infrastructure rather than customer facing. It tells the gym team who is more likely to be at risk, so I can tailor the behavior of my staff, not just my customers.’ These are the people you need to go and talk to’. This allows you to change staff behavior, not just customer behavior to aid retention. Possibly my all-time favorite, is asking the question ‘When are you in next?’, just as someone is leaving the club. This question has had a tremendous impact on customers’ behaviours. It presupposes the next visit and it requires the customer to make a virtual appointment between themselves and the club. While teaching a GX class suggestions abound. Offering alternatives to increase and decrease intensity and complexity to meet the customers’ needs. At the end of the class a suggestion sent to the customer about other similar classes could be used to encourage additional visits to the club and variety to their workouts. Your club app, or social media can be used to let customers know that spaces are available in the 6am class. This is an example of a time critical suggestion. There is no value in getting this message after that time. The Net Promoter Score commonly used to evaluate the customer experience provides multiple opportunities to use suggestion. At Retention Guru we advise operators to take action as soon as they receive feedback. When customers respond with a score of 7-8 we advise operators to ask ‘what would need to happen to move the 7-8 to a 9 or higher?’ When customers respond to the question ‘How likely are you to recommend this club to a friend of colleague, and provide a score a 9-10, extremely likely, they should be sent guest passes or asked for referrals. 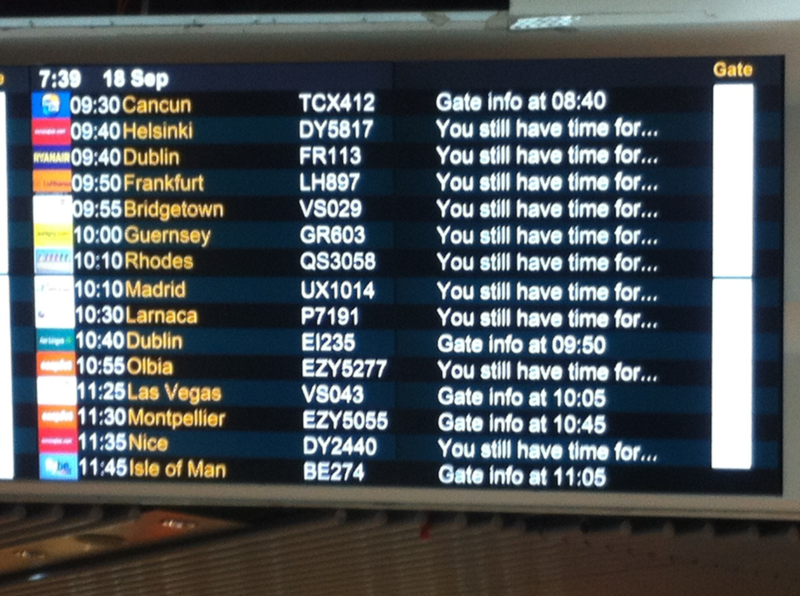 Not the best picture I have ever taken but this is the flight announcement board at London’s Gatwick airport. After identifying the carrier, destination and the flight number, they very kindly let you know you still have time for… and then list various food outlets based on the current time of your flight. The suggestions range from fast food to casual dining. Take a look at your current technology and identify how it can support you providing suggestions at critical times to improve your customer retention. Human memory is not a reliable method for tracking workout progress. 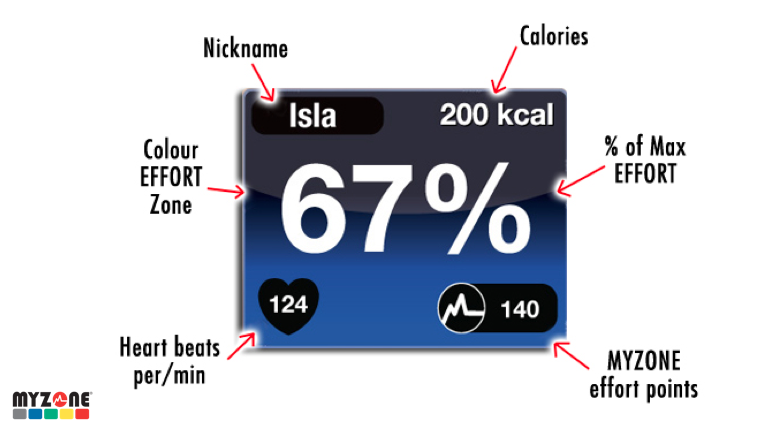 The results of exercise are slow to come, self-monitoring can be used to bridge the gap between where customers are and where they want to be. The feedback provided by monitoring and tracking can be used to show progress and achievement. Retaining customers is all about increasing the length of time customers remain with the business. Over the past few years self-monitoring using wearables has become common place. While not all customers are motivated by monitoring, those that are, have been provided with advanced, stylish feedback applications. Traditional tracking using workout cards or note books, the paper type, have required an additional level of motivation to record each and every exercise immediately after the exercises had been completed. The latest technology allows customers to self-monitor providing opportunities to modify their attitudes or behaviors to achieve a predetermined goal or outcome. Changing attitudes and behaviours is not a simple task but increasing use of engagement, by reducing effort, to improve recorded keeping, learning and progress can help. The reasons for self-monitoring are varied. Not all customers want to be on leader boards, social groups or make their workouts public. Incorporating these techniques developed from game design are intended to leverage a variety of customers natural desires. Typically rewards such as points, achievement badges, levels, progress bar, are approaches used to stimulate continued participation. Socializing, learning, mastery, competition, achievement, status, self-expression, or completion can all add to the customers experience, which can be shared and made public or kept private. Tracking running is simpler than tracking gym workouts because all I need to do to track a run is press start and at the end press finish. The data is collected, organized and presented back in a format that is meaningful and easy to interpret. Within a gym environment, tracking exercises is somewhat more complex. Recording reps, sets, weights, exercise variations, is much more complicated, requiring a greater commitment to the recording. The customer needs to be motivated to workout and motivated to record that workout. For me the big question is ‘ So what? I’ve tracked my workout, now what? The interpretation of the results needs to be viewed by someone who understands what those results mean. I think the reason so many people stop using wearables after a short time is because while the data is interesting, it lacks relevance for the next workout except for general comparison. 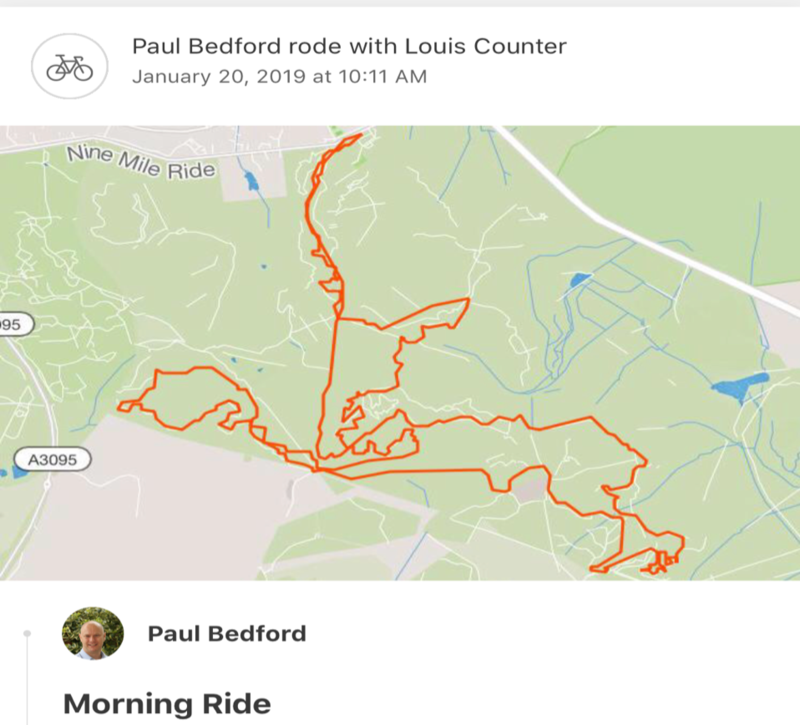 For those customers not inclined to track the physical activity part of their exercise programme, tracking visits provides an appropriate alternative. The research we have conducted over the past fifteen years has demonstrated a link between visit frequency and retention. Monitoring visit frequency is a simple, visible and an achievable measure for those who don't care about personal bests, points or leaderboards. Getting customers to self-monitor visits can produce a strong behavioral chain. Demonstrating achievement such as number of visits completed, is something that self-monitoring encourages from day one and is more visible more quickly than physiological adaptation. We are not talking of having a PI follow your customers around the club or a team of observes behind a bank of monitors, but we are talking about using technology to gather information about the behaviours of our customers. Modern surveillance allows one party to monitor the behaviour of another in order to modify their behaviour in a specific way. Our cell phones act as tracking devices that shares personal details via GPS technology. Internet and social media providers, capture data about viewing preferences, dwell time on specific sites and purchase history. This data is then used to shape and influence what we watch, YouTube, Netflix, Hulu, what we buy; Amazon, eBay, who we follow; Linkedin, Facebook, Twitter and who follows us. Its not monitored by rooms full of people but by computers running algorithms to identify these behaviours. Access control at the entrances of your club provides you with specific information about the frequency, day and time that allow you to identify patterns of visit behaviour. Which can be used to shape the behaviour of your customers to enhance their experiences, build exercise adherence and reward loyalty. 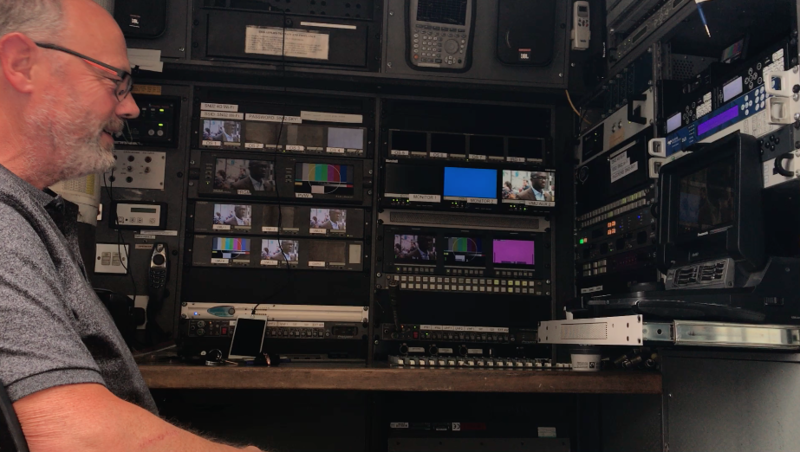 A New York based operator providing low-cost high-volume facility, monitored the search preferences of it’s customers using the clubs wi-fi, with permission. What they observed was customers spent a high proportion of time spent searching for group exercise sessions using one specific app designed to provide access to multiple studios. The club they were sitting in had no GX. The two business agreed to collaborate and now those members have a preferential deal on class bookings all over the city. This simple solution assisted both parties retain more customers to their businesses. 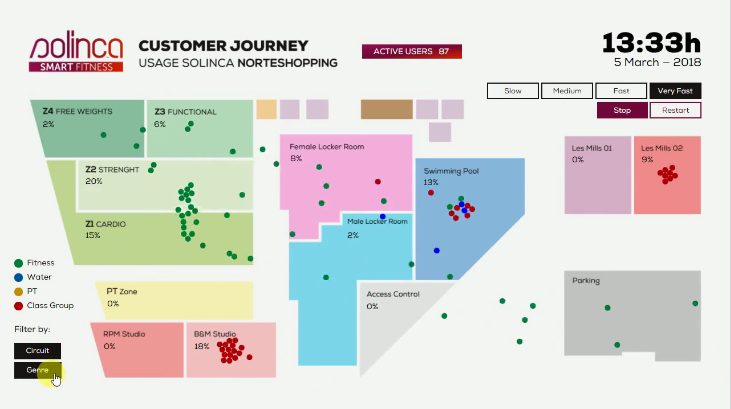 Surveillance such as heat mapping customer behaviours provides opportunities to identify customer preferences, organize staff schedules to match customer volumes and design studio programs. Conditioning uses the principles of operant conditioning developed by Thorndike and then Skinner to shape and change the behavior of our customers. This can be done to improve the effects of a workout and the experience within the club. 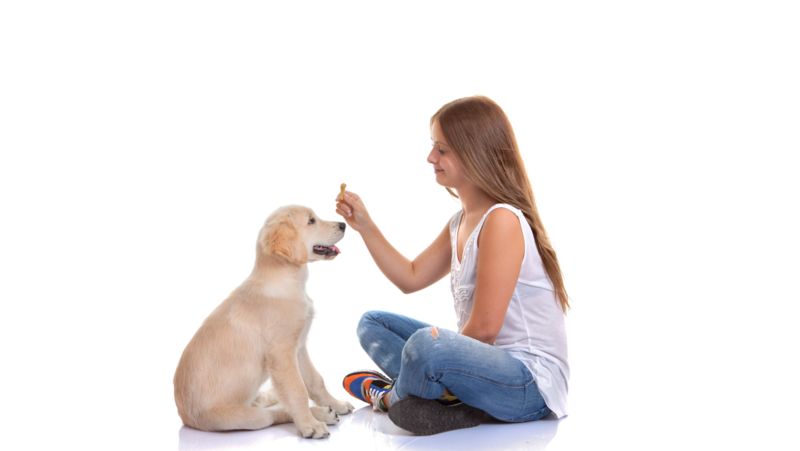 Positive reinforcement or rewards can be used to increase the instances of a behaviour or to shape complex behaviours. Red traffic lights indicate that we should stop, but there is no physical barriers that stops us, just the learnt behaviour that red lights mean stop. Punishment can also be used, traffic fines for incorrect behaviour, penalties for late filling of tax returns are designed to redirect people to the desired or preferred behaviour. This type of conditioning is most effective when the reinforcement immediately follows the performance of a behaviour but not every time the behaviour is completed. Gambling harnesses the power of conditioning to reinforce the behaviour. You pay, you play and sometimes you get rewarded. The same is true of online auction sites like eBay when you bid for an item. Even simple coffee reward cards shape our behavior, drink coffee, collect tokens, reach a specific amount get rewarded. Computer games are built around, find the task, practice and learn the route, perfect the route, complete the level, get rewarded with a new task. Within our clubs we can harness conditioning to improve customer retention. We can create environments that persuade people to behave in certain types of ways. We can place coffee shops and restaurants close to the entrance tempting and then rewarding customers into secondary spend purchases. We provide signs and notification within the pool as to which is the fast and slow lanes, that become irrelevant to regular swimmers when they learn, the centre lane is the fast lane. We can condition our customers to turn up on time (or exclude them) for classes, to put away their mats in the GX studio and bring a towel for those sessions where they will perspire extensively. We can condition them to book on the downloaded app, book online, pre-order their post workout shake, but only if they see the benefits and are rewarded for the behaviour. Mobile phone companies rely on the operating systems to keep us loyal. As an iPhone user for many years I have learnt and been reward for learning how to maximise my phones capabilities. By rewarded, I mean it does the task I desire it to do. I have invested time learning the various iOS configurations, not deliberately, mainly through trial and error. However looking at an Android phone fills me with dread. I don't understand the tiles, I can’t find the menus in the places I expect to find them because they are not the same as my iOS phone. This design means for ease of use, I just update and upgrade my phone to a new Apple phone very couple of years. Just because I don't want to invest the time learning the Android version. Apple have my loyalty by conditioning. Savvy operators will identify approaches to use conditioning within their own businesses that create desirable behaviours for staff and customers, that enhance the customer experience, increase retention, reduce attrition and improve member loyalty through relevance not just coercion.